The White Plains accident attorneys at Worby Vecchio Edelman receive daily phone calls from victims of medical malpractice. This is an important area of our practice, and we have a separate department entirely dedicated to this specialized area of the law. The field of medical malpractice is fraught with complexities. We will present an entry on medical malpractice in the coming months. For right now, we focus on one particular issue in this field. You may have heard or read in various local newspapers about “Lavern’s Law”. This proposed law – it has not yet been signed by the Governor – is named after a woman named Lavern Wilkinson. She was a patient at a municipal hospital, where a mass on a chest x-ray went undiagnosed. When Ms. Wilkinson returned to the hospital a couple of years later with increased symptoms, she was diagnosed with lung cancer, which turned out to be fatal, and she died at age 41. The upshot, of course, is that if the mass had been diagnosed when the x-ray was originally taken, Ms. Wilkinson may have been saved. By the time that Ms. Wilkinson knew that she was a victim of medical malpractice, the time limit to start a lawsuit against the hospital – the Statute of Limitations – had already passed. The Statute of Limitations in any ordinary personal injury case is three years from the date of the accident, but in a medical malpractice case the Statute of Limitations is only two years and six months. Since the hospital where Ms. Wilkinson received treatment was a municipal hospital, this short medical malpractice Statute was reduced even further, to a mere one year, ninety days from the actual date of malpractice – not the date of discovery of the malpractice. Unfortunately for Ms. Wilkinson’s survivors, New York does not maintain a discovery rule. That means that the time for you to file a malpractice case starts to run when the malpractice is committed, even in cases when you cannot reasonably be aware that you have been a victim of malpractice. Earlier this year, the New York State Legislature passed “Lavern’s Law”, which still remains under consideration by the Governor. Pursuant to Lavern’s Law, one will still have two years and six months to commence a malpractice case due to a failure to diagnose cancer, but the crucial difference will be that that two year, six month time limit will not commence until the patient was aware, or should have been aware of a failure to diagnose a condition, and that that failure caused an injury; (the latter condition, that the failure to diagnose had to have caused an injury, is known as proximate cause. As we’ll explain in a future column, the lack of proximate cause is a common defense in malpractice cases). This rule will apply to malpractice cases based upon a failure to diagnose cancer. At the very least, the passage of Lavern’s Law will enable victims in failure to diagnose cancer cases to have a fair chance at recovery for their injuries. There are good policy reasons for the existence of a Statute of Limitations. There should be a period after which one who commits negligence should no longer have to mount a defense. Memories can fade over the passage of time, and witnesses can be harder to locate. The problem with the law as it exists now is that one’s time to sue for failure to diagnose cancer begins to run well before the time where the victim was reasonably aware of that failure. 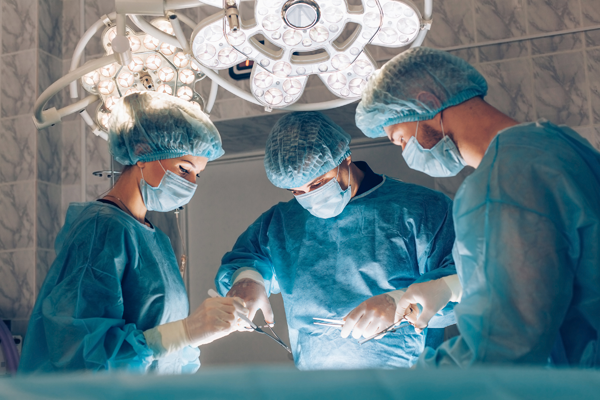 In some medical malpractice cases, the victim will know at the outset if he or she has been injured, so there should not be an issue with people in that situation seeking legal counsel in a prompt manner. In many failure to diagnose cases, the injury will not manifest itself until well after the malpractice has been committed, so that by the time that the victim becomes aware of the prior act, the time to sue will have already passed. This is the very issue addressed by Lavern’s Law. The White Plains injury and malpractice attorneys at Worby Vecchio Edelman are up to date on the latest trends and developments in the law. We subscribe to legal journals and periodicals, both hard copy and internet based, so that we will be aware of issues such as that described in this entry. Call the attorneys at Worby Vecchio Edelman as soon as you have reason to believe that you or a loved one have been victimized by a health professional’s malpractice. We’ll listen to your complaints, and ask the right questions in order to determine whether you have a case. We’ll also answer all of your questions. We work on contingency, so there’s no obligation, and you won’t owe us a fee unless we recover money on your case.